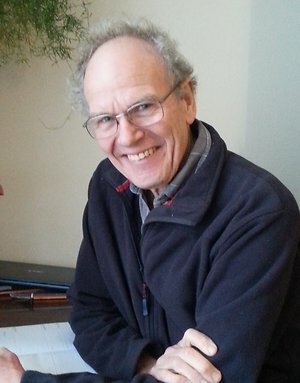 Welcome to the website of Richard Evans, qualified reflexologist and registered craniosacral therapist within easy access of Derby, Burton and Lichfield. These therapies work well to help deal with the consequences of stress. Often symptoms like poor sleep, back-ache, migraine, IBS, colic in babies can be related to stress and trauma. Craniosacral therapy and reflexology can help to restore equilibrium and enable the body to regain good health. My practice in Alrewas is within easy distance of Burton on Trent, Lichfield, Derby, Barton-under Needwood, Walton-on-Trent, Yoxall, Kings Bromley , Fradley, Whittington, Swadlincote and Sutton Coldfield. There is convenient parking outside the house, and Alrewas is on the A38, making it an easy destination from Derby, Burton or Lichfield.. These therapies help to restore the body to health and balance and work on the whole person, rather than treating symptoms. This often means that the relaxation and sense of well-being you experience help aches and stiffness in the joints and musculo-skeletal system. Good sleep and a clear head often result from treatments. If you suffer from insomnia, backache or migraine, this may be a beneficial treatment. Many people prefer to use complementary therapies like reflexology and craniosacral therapy to deal with stress-related conditions. I have known insomnia sufferers sleep properly for the first time in many years. Some patients tell me their backache disappeared after a few treatments. Again, I have seen people with debilitating migraines manage without medication after some craniosacral treatments. I am a craniosacral therapist registered with the Craniosacral Therapy Association. For more detail on craniosacral therapy, please turn to that page on the website. I am a full member of the Association of Reflexologists. For more detail on reflexology, please turn to that page on my website. If you need diagnosis and medication, then you need to go to your GP. But in many cases, craniosacral therapy and reflexology enhance the natural immunity of the body, so that patients may need less medication for insomnia, backache or migraine.